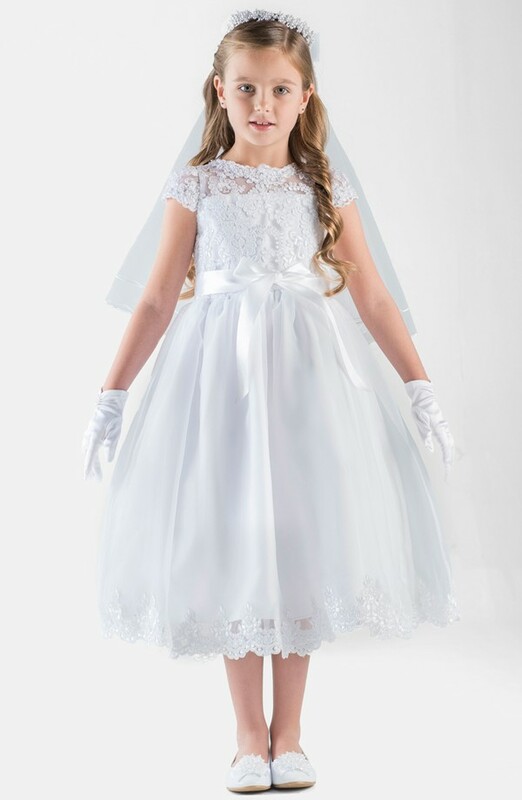 Us-Angels She'll look like the angel she is in this pretty satin and organza dress adorned with ornate, beaded lace and fashioned with a sheer illusion neckline and short sleeves. A lustrous ribbon sash cinches the waist, accentuating the dramatically full silhouette. Back zip closure. Lined. 100% polyester. Hand wash cold, line dry. By Us Angels; imported. Kids' Wear.